Dave Moss looks at the growing problem of traffic congestion and what the future holds. 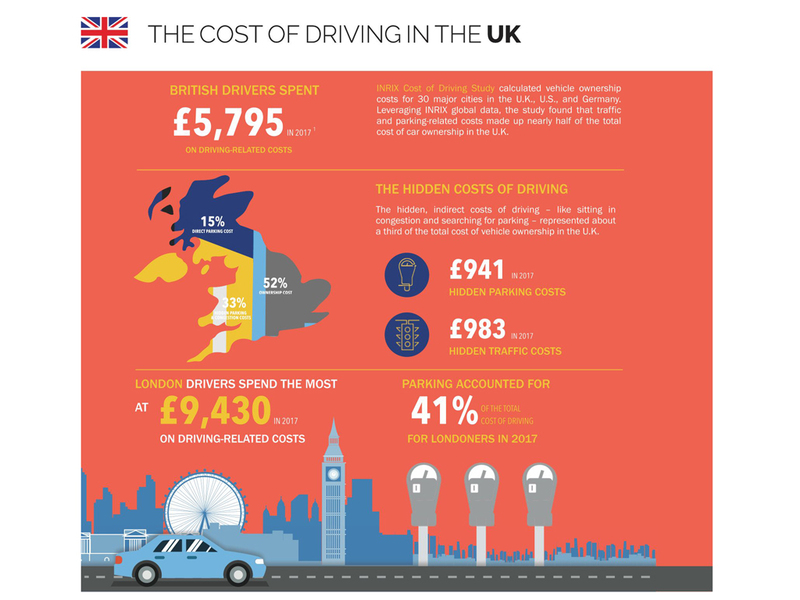 Traffic congestion is almost certainly costing your company more than you think – in fuel, social and environmental costs, drivers’ time and more. Inrix is one of the world’s biggest transport data and analytics specialists and its 2017 ‘Global Traffic Scorecard’ charted traffic congestion in 1,360 cities, across 38 countries worldwide. 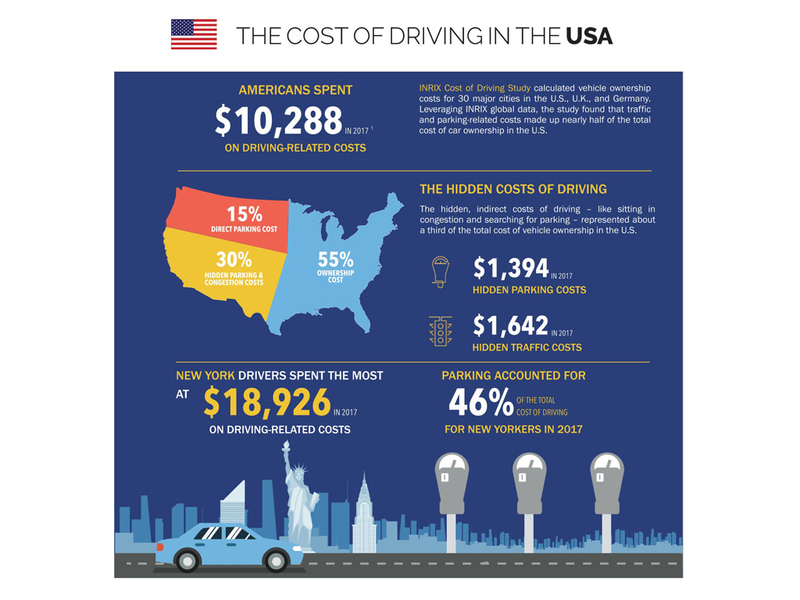 The US emerged as the most congested developed country in the world, with drivers averaging 41 hours a year in peak hour traffic, at a cost of $1445 a driver – and nearly $305 billion overall. Stationary vehicles rack up wasted fuel costs to make fleet managers cry: the study calculated that, in 2013, across the US, France Germany and the UK alone, idling engines wasted almost six billion litres of fuel. But growing urban traffic congestion also brings pollution and emissions concerns for fleet managers and environmentally sensitive companies alike. The research estimated that idling engines released around 15.4 million tons of CO2 equivalent into the atmosphere across the four countries, a figure estimated to reach 17.9 million tons by 2030. Whether building more roads really can solve congestion problems is a much discussed question. In recent years, cities from all over the world have successfully reduced jams through road improvements at particular bottlenecks, but opinions on such roadbuilding investments differ. Magnum is a €2 million EU-funded project working towards future urban traffic management systems which can intelligently anticipate congestion. Combining new modelling techniques with smart city technologies, the aim is to make journeys faster while reducing the environmental impact of urban transport. The project is working on identifying which journeys will contribute most to congestion, then seeking to avoid them in real time by offering city travellers a more efficient transport mode for that journey. Instead of monitoring traffic flow on key routes, researchers are looking at individual trips within Lyon, France, to develop accurate traffic models for the city, with a goal of completely rethinking daily mobility management across an entire ‘smart’ urban area. However, focusing on such a vast picture while tracking individual travel patterns is a big challenge. Researchers are investigating new data-analysis methods, from which unique 3D flow and congestion maps have been developed, with modelling progressing on the basis that innovations such as autonomous vehicles and smart ride-sharing will be key future aspects of city-wide mobility. Overall the project aims to help individuals, companies and cities understand the potential and drawbacks of new transport methods – while recognising their part in more efficient, sustainable urban mobility. Traffic congestion is estimated to cost EU member states €100 billion annually, with forecasts suggesting this could rise to €150 billion by 2050. Yet there are signs car use is slowing and congestion reducing in some cities such as London, Paris and Berlin. CREATE is a just-completed European partnership programme set up to produce guidelines for reducing traffic congestion in the longer term, aimed at cities currently seeing rapid increases in car ownership and use. It’s been analysing how traffic growth has been slowed in these cities, looking at the politics involved and the policies and regulations applied. This work has been cross referenced to historic data stretching back 20 years, to discover how successful congestion reduction policies have been – where – and why. The target was to offer the experiences and most successful anti-congestion strategies for evaluation by several east European cities, among them Bucharest, Adana, Skopje and Tallinn, where car ownership and traffic congestion are continuing to rise. It is hoped that benchmarks can be evolved from the project work to encourage wider use of alternative transport modes, providing more efficient movement of people and goods in Europe’s urban areas in future. According to partnership research just released by the World Economic Forum and Boston Consulting Group, the coming autonomous vehicle (AV) revolution will lead to major changes in congestion and traffic flow. Surveys and modelling work of Boston (US) city traffic to research the impact of AV’s found that, together, autonomous and traditional mobility-on-demand service vehicles will eventually account for 40% of trips within city limits, which could result in a decrease in vehicle numbers of around 15%. However the study also found Mobility on Demand is likely to be a mixed blessing – with the remaining vehicles covering 16% more miles, leading to more city centre congestion and a 5.5% increase in travel times – all as a result of lower public transport system usage. If the Boston experience is mirrored in cities around the world, for businesses unable to make use of Mobility on Demand solutions in urban areas, future company vehicle use could become expensive. The study found Boston will need less than half as many parking spaces, and suggests local governments are best placed to influence congestion, with the greatest effects likely from pricing schemes which actively discourage single-occupancy vehicles.